With all-around views and nestled against the hill on a cul-de-sac situated above Morongo Valley sits a tastefully designed and well-crafted Sante Fe home. The open floor plan with wood style flooring is conducive to larger gatherings as the kitchen is centrally located or intimate enough for one while enjoying the city lights from the living room or adjacent patio. The indoor outdoor flow from the dining area through the french doors to the generous walled and gated patio makes this home seem much larger than the actual foot print. A separate master retreat consisting of a soaking jetted tub, two walk in closets and double vanity as well as a private patio will make this the home you never knew you were missing. 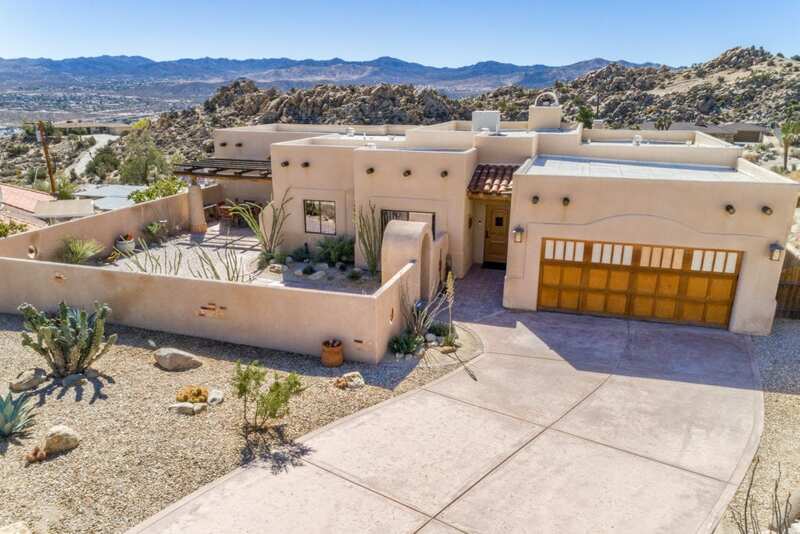 Located in the high desert but only 30 minutes from the Coachella Valley, this home provides access for the hustle and bustle of larger cities while at the same time keeping you close to nature and that slower paced living.